In-line hockey jerseys, pants | Bison Sportswear. 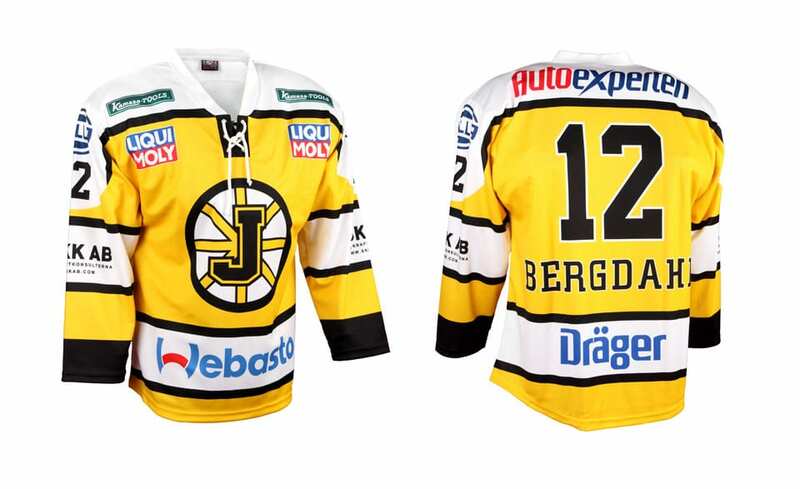 Jersey for in in-line hockey is made in several patterns, namely Classic, Round Yoke, Rectangular Yoke, Raglan, Raglan – Round Yoke. All patterns can be further adjusted. It is possible to carry out the adjustment in the form of double sleeves or shoulders, sewing ventilation and mini-ventilation mesh into the side part of the jersey and the like. We adjust color of the meshes as one of the few manufacturers in order to achieve perfect resulting jersey design. Naturally, you can choose the type of collar, fonts and numbers according to your wishes. We also have an option to choose lower finish of the jersey in the STANDARD or PRO style. The basic size jerseys can be determined using the size tables. The best materials of jerseys are: CANADA 230 gr., Sun 230 gr., Blesk 230 gr and Elite 230 gr. Canada 230 gr. is the most widely used, professional and high quality knitwear ensuring the high quality and durability. Sun 230 gr. is a high-quality polyester knitwear, which is now very sought-after item for its smooth texture, which makes all the logos and designs stand out. Blesk 230gr. is a porous polyester very glossy material that gives the jersey a glittering effect. Elite 230gr. is a polyester material with patterns specifically designed to the materials used in the NHL. It creates the impression of a cube design to highlight the effect of the highest quality of the jersey. More detailed information about materials can be found here. Information on the price can be found in the price list. Bison has prepared an offer of single-color in-line hockey jerseys for you in the above-mentioned variants. We supply these jerseys without the possibility of printing. 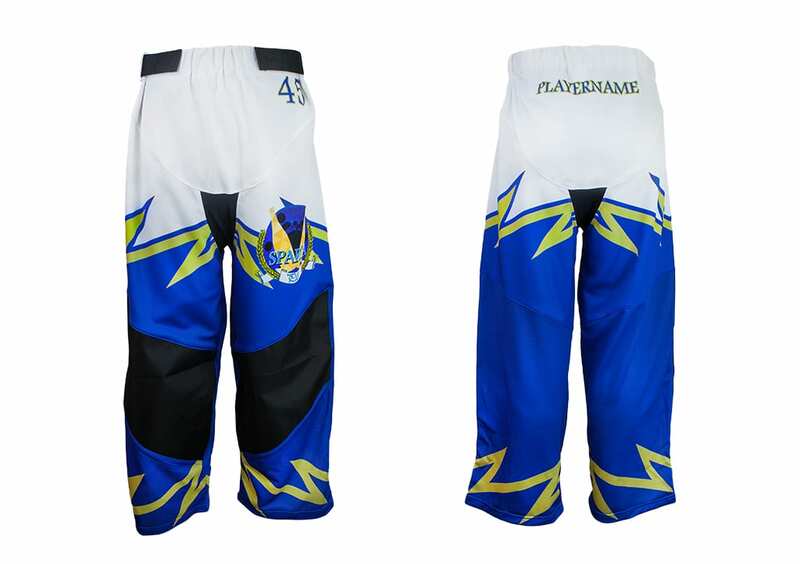 We produce in-line hockey pants from specially developed Sven 240 gr. material. Extraordinary strength, elasticity and breathability of this material provide maximum comfort. Sven 240 gr. is able to replace heavy, air-impermeable materials thanks to its properties wherever the main requirement is strength. Thanks to the breathability of the material itself, there is no need to sew ventilation parts. 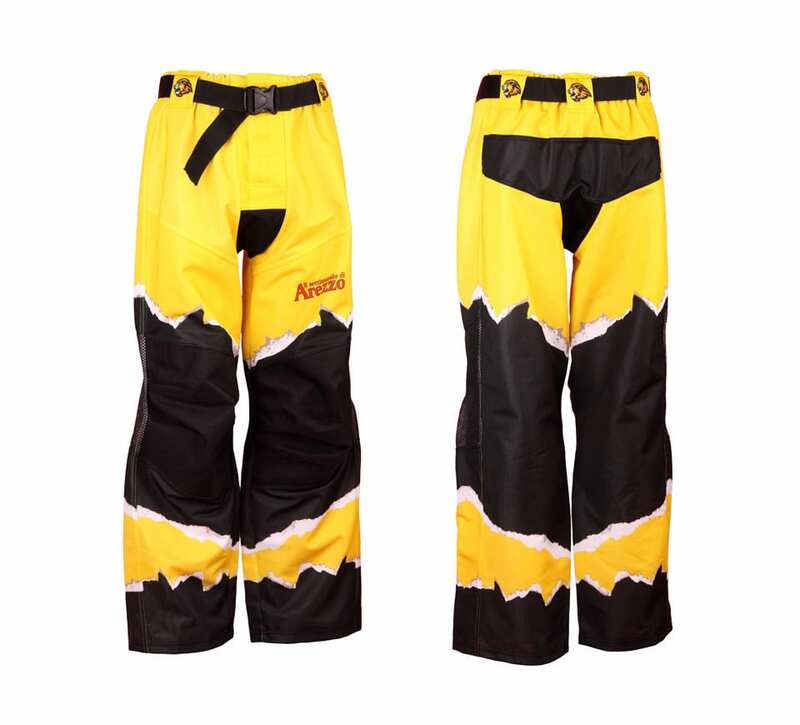 In-line hockey pants are lightweight, with maximum comfort and do not prevent movement. The pants in the new, ultra-lightweight design offer a professional appearance that will satisfy even the most demanding customers thanks to its unique pattern. You will get in-line pants from such material and in this pattern exclusively with Bison Sportswear, s.r.o.